Rosés are truly making a splash in many glasses these days. The latest rosé movement started picking up its heels in the last half of a decade, and I am not seeing this trend slowing down anytime soon. In a nutshell, this particular style of wine is made when red grapes are harvested, pressed for their juice, and then sometimes left for varying periods of time to extract some colour from the skins of the grapes. According to The Commonsense Book of Wine by Leon D. Adams, rosé is a “drink anytime” kind of wine; it is versatile wine in that it can be served anytime, it is flexible for various occasions, and useful to have on hand if you just want a glass of wine! “I advise you to buy an all-purpose wine, and to let the rest come naturally. Such an all-purpose beverage is the pink table wine called Rosé (pronounced Ro-ZAY). […] Rosé is the one wine you can bring out of your refrigerator and serve at any time for any use without a brow-wrinkling thought as to whether you have made an acceptable choice. Chill, open, and pour; it is that simple” (p.65). Now, with Adams’s sharp clarity on how rosé can function, I think it is important to know that rosés fall on the spectrum of extremely light in flavour and body to tremendously deep in colour, flavour, and body. It all depends on what you like. However, don’t shy away from one or the other; you might be missing out on your next beloved wine! I have to say that it was a delight to try the different styles of rosé that Culmina is producing. They cover a lot of ground between the Saignée and the R&D blend, which is awesome for the general consumer. In short, I love the versatility that Culmina is offering wine consumers between these two wines. I spoke to Sara Triggs, Sales and Marketing Manager of Culmina Family Estate Winery and daughter of Don Triggs, a pioneer in the British Columbia wine industry, to find out more about Culmina’s particular 2016 rosés. TDV: The 2016 Saignée and 2016 R&D Rosé Blend are two very different roses. First, tell me a bit about the 2016 Saignée. ST: The difference involves essentially that of winemaking. Our Saignée of course is made in the saignée method, which involves bleeding juice from our red wine fermenters at harvest. As much as possible, we try to bring all of our fruit from each one of our 44 micro-blocks separately, reds included. When making our Saignée, the juice bled off of each fermenter is then also handled separately. When it’s time to blend the finished rosé wine, we undergo the same blending process that we do for our reds wines, such that even though the reds undergo the saignée process, is no guarantee that the saignée’d juice will end up in our Saignée rosé. TDV: And how about the 2016 R&D Rosé Blend? ST: Our R&D Rosé Blend on the other hand, has been made in the ‘direct press’ method from blocks of fruit specifically designated for the rosé. Because of the production method, it is a bit lighter and a bit more lively in terms of acidity. Like all of the wines in our ‘R&D by Culmina’ Series, it has been made from 100% estate grown fruit, but moreover, is meant for enjoyment across all contexts, with or without food, with company, at home, on the patio, or with dinner, etc. It’s a bit more casual than Saignée, and ever-so-slightly more sweet. Because we are a Bordeaux red house, it has been made similarly from a blend of Bordeaux red varietals. TDV: How do you determine what your rosé blends will be? 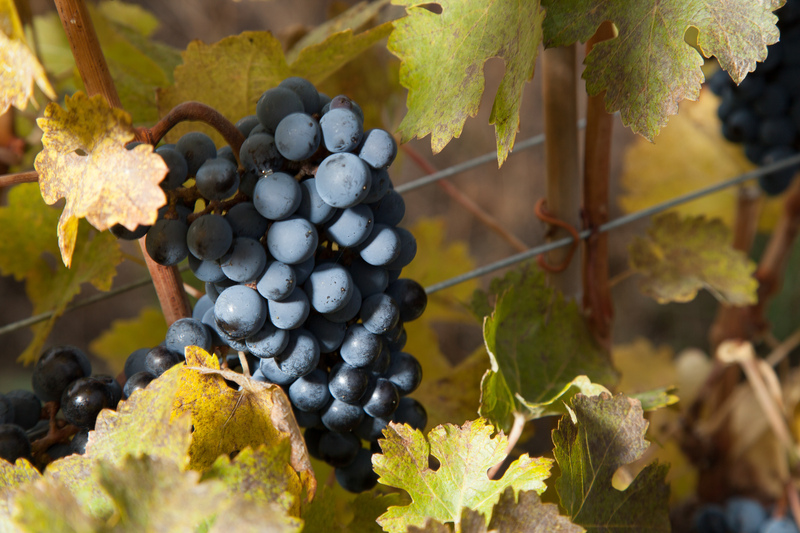 ST: The varietal breakdown varies from vintage to vintage just like our reds, as it is not determined by a predetermined ‘formula’, but solely on what is best that year. Stylistically, because of the way that the wine is made (i.e. with fruit harvested at full maturity), our Saignée always tends to be textural, creamy, and a bit unctuous; it also tends to balance savoury flavours with bright fruit characters, even across vintages despite the varietal breakdown. Plentiful notes of strawberry, rhubarb, raspberry and pink grapefruit flesh. Medium boded. Very nice acidity. Long finish. Peppery tones come out on the palate. Fantastic rosé, midway between Provençal and something as medium bodied as 8th Generation. Curious about this rosé with BBQ chicken or pan-fried dumplings. Crisp and refreshing. Bright. Would put money on it being a rosé that “non-rosé lovers” might like. Made from Merlot, Malbec and the two Cabernets. Also available at BC Liquor Stores. Poetic rosé with delicate mineral-driven notes. Strawberry perfumed and bright. Clean and balanced acidity. Delectable. Well-rounded fruit on both bouquet and palate. A cultivated sophistication. Notes of cranberry are uncovered mid-palate and lead to a refreshingly pure finish. Adored this with seasoned salmon and a herbed-yogurt dressing with a mixed greens salad. Additional pairing: a porch and a summer sunset. [grin] Made from 73% Merlot, 14% Cabernet Franc, and 13% Malbec. 100% Golden Mile Bench. For more information on Culmina Family Estate Winery, read about their “Pursuit of Excellence” here. You can also check out their winery page here. Follow me on Instagram (demystifiedvine) and Twitter (@demystifiedvine)!